Friction is a force acting opposite to the direction of relative motion. 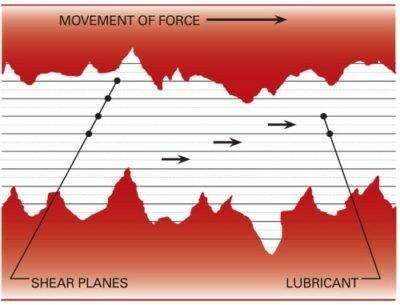 Friction rises on the interface between bodies, but may also develop within the body.Examples of the latter include air and hydrodynamic friction, where the friction rises between the fluid layers. Friction is not a fundamental force, but rather a manifestation of electro-magnetic and gravity forces. There are many sources of friction: deformation of the surfaces, adhesion, capillary forces, van der Waals forces, chemical bonding, etc. Friction is a non-conservative force and the energy spent to overcome friction is lost. Friction losses reduce the energy efficiency of many mechanical devices. A recent report on the energy consumption due to frictional losses in passenger cars estimates that only 21.5% of the potential fuel energy is used to move the car, whereas direct frictional losses account for 33% (28% if breaking is excluded). Within these losses, 35% is used to overcome tire-road friction, 35% to overcome engine friction, 15% – transmission and 15% brake contact friction. 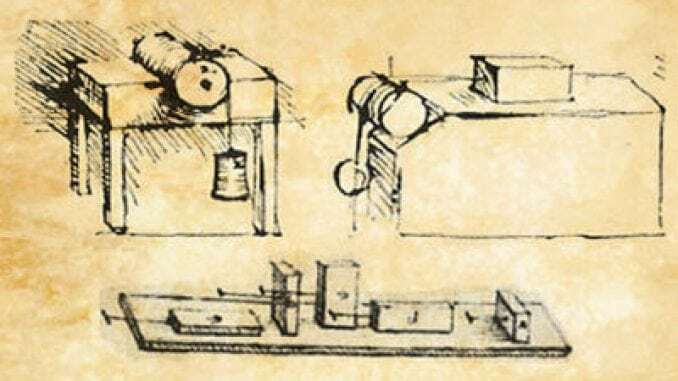 So one of the major challenges of the modern tribology is to find new technologies to reduce friction and increase energy efficiency. In general, friction can be dry or lubricated. For a vast majority of the surfaces encountered in nature and used in industry, the source of dry friction is the imperfections of the surfaces. It turns out that even mirror shining surfaces are actually not flat, at least at micro- and nano- scales, and contain hills and valleys. These imperfections are called surface roughness. A typical Atomic Force Microscopy measured surface profile of a smooth clean glass plate is shown below. When this rough surface is dragged against another rough surface, these valleys and hills will interlock with each other, deform and consequently oppose the motion. The classical example of the interlocking are the stalled egg cartons type surfaces, which are hard to slide against each other (due to high friction) as shown in he figure below. The force needed to overcome this interlocking is friction. At the same time, producing atomically flat surfaces does not solve the problem of friction reduction. Actually the decrease of roughness to atomically flat level for engineering materials, such as steels, for example, leads to a much higher dry friction! And this is due to an increase of the adhesion forces (van der Waals interactions, capillary forces, etc.). 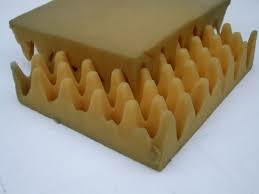 In such case, the interlocking and adhesion effects are reduced. For most engineering materials, dry friction is larger than lubricated since the shear strength of the solids is typically larger. However, the theory has reached its fundamental limit (0.01-0.04 friction coefficient) and cannot be used to reduce the friction further. Therefore, the researchers look for other ways to reduce friction and recently several cases of superlubricity (friction coefficient well below 0.01) were reported (look further on tribonet). Amontons’ First Law: The force of friction is directly proportional to the applied load. Amontons’ Second Law: The force of friction is independent of the apparent area of contact. Coulomb’s Law of Friction: Kinetic friction is independent of the sliding velocity. Kinetic friction is the defined as the friction developed during relative motion, while static is the force developed prior the motion starts. Typically, the kinetic friction is smaller than the static.